Yep. That was my view on the way home from master's swim this morning. What is that wet stuff anyway?!! It didn't end up being very much rain, certainly not enough to really help in our drought, but still... oh so nice! 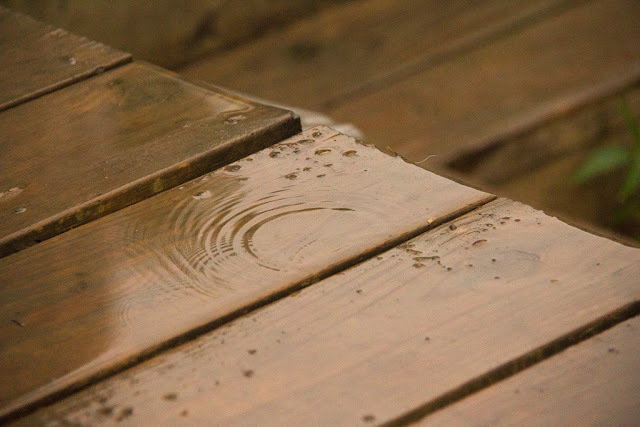 Raindrops on our deck... so, so refreshing! And then it was back up to the upper 90s this afternoon, but still I was so grateful for the sweet gentle reminder from the Lord... Oh! How He loves! Thanks so much for your encouraging comments and emails yesterday! My friends are the best! This year, for the first time, three of our children are running cross country with a homeschool team. This, my friends, is some serious fun! So proud of Abigail, Caleb and Joshua~ love watching someone (other than myself!) sweat and work hard! : ) I can hardly wait to cheer for them at their first meet! 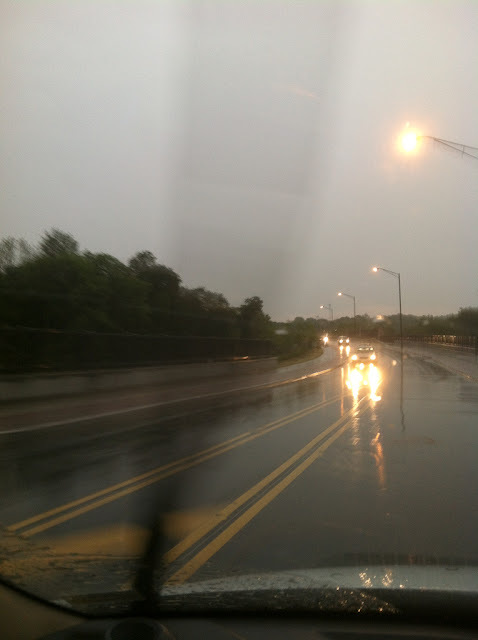 On the way to pick them up from practice tonight "Let the Waters Rise" by Mikeschair was playing on KLOVE. Good truth, that. "Let the waters rise if You want them to. I will follow You, I will follow You." So glad you got some rain. May the LORD bring much more!! Wish I could send you some of ours...we are never in short supply here. Truly these are all blessings from the LORD!